arent the 18" pegs pretty xpensive? Any size specs for the tethys and zeuses? Hmm. These don't look like the same wheel to me. Yet they're referred to as such. yes thats right. The one on the right came on 244GLE's and 264GLE's here up until '79. My car came factory with those. The one on the left i have never seen, as we didnt get them here. I have a 1979 (printed in '78) UK 200 series accessories brochure which shows these 2 wheel designs. The one on the left is the 'Exclusive' and the other the 'GT'. 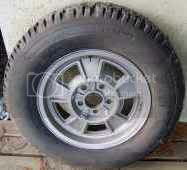 And, this wheel which on here is listed as the 'Corona', the brochure lists as the 'Sunburst'. It's my theory that this wheel only becomes the 'Corona' when fitted with the large centre cap. thanks for the info, jonah! the two wheels are now properly identified, and that rare 'turbine' model have been added, never seen that one before. im gonna wait for a second opinion on the corona, as it may well be named differently in europe than america. any info anyone? I've also seen 'Corona' listed as 'Sunburst' in brochures from the early '80's. Thanks for that - are the wheels the same size? ie. 14x5.5? ...and that rare 'turbine' model...., never seen that one before. You have, I pinched the picture from post #90! ...are the wheels the same size? ie. 14x5.5? There are no sizes listed on the brochure, but from the various strands of information on here it seems they are all 14x5.5. Last edited by hokman; 06-16-2008 at 03:59 AM.. Anyone know the diameter of the wheel centers on those 4 bolt S40 wheels, I heard they are smaller than the regular 60mm ones on the other wheels? The right is called here in Europe an GLE rim and is also mounted on my '77 264 GLE. 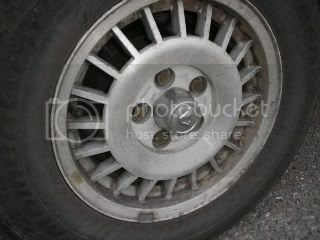 What here in this topic is called a "turbine"rim is called in Holland a GT rim. Is there a cross reference as to what fits what. Some of these are perfect for my 940 sport estates. Please someone tell me those will fit on an 850! Last edited by Charles; 10-03-2008 at 01:22 AM..
not a factory wheel, so why are you asking in here?? And those are the pre 1979 262C alloys. Last edited by MKUltra; 10-20-2008 at 12:50 AM.. The cetus are very popular here for the 850. Last edited by Redwood Chair; 01-09-2015 at 12:59 AM..
And they came in 2 different colors, light and dark aluminium. On my -98 V70R awd auto they were dark 16" Comet installed from factory. 17" were called " COMET " regardless of color, 16" were called "METEOR" ! 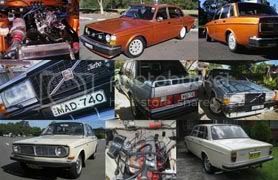 On V70 R AWD 2000´ were 17" called "SATELITE" and 16" were "SOLAR" ! 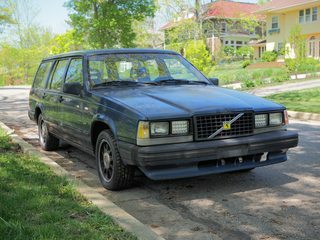 These came on my 1992 740tic wagon, and they werent on the list, nor have I seen them anywhere. Does anyone know what these are? edit: nevermind, i found them. 10 spoke Sirius. They were on page 4, must have skipped over them. Last edited by callousedxfingers; 02-05-2009 at 04:18 PM.. The 99 V70R AWD came with a 16" Solar rim, I've only seen them in silver and I'm not aware of a 17" version. They're the 5-spoke with the two grooves on each spoke. I'm not sure what the FWD R's had in 99. The 2000 V70R AWD came with 16" Satelites, available in silver or anthracite. See post #32 for the anthracite 16"s.
17" Satelites were also available as an accessory (and came on the 00 FWD R's I believe). Again, they were available in both silver and anthracite.